My wife did have a pretty interesting collection of Warehouse ticket stubs covering the late sixties through the mid-seventies. Lots of cool concerts. They have a cool poster I saw online made up of old Warehouse tickets stubs. It's about $25, think I'm going to buy it. My dad was a big Warehouse goer back in the day, and I'm still blown away who he was able to see at that place. I bet that guitar plays like butter. I love it. 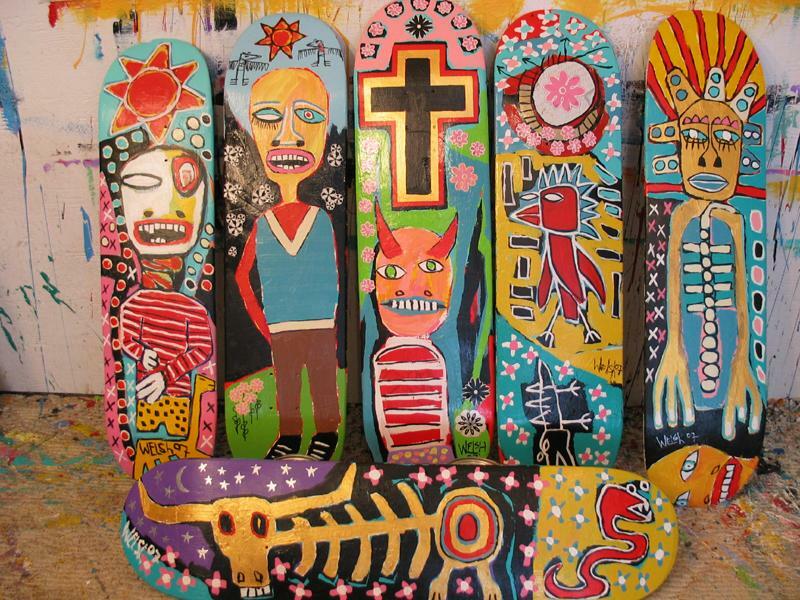 I've got a skatedeck (the one with cross and devil) painted by former Wezzer bassist Mikey Welsh. That is f&%king awesome! My band is covering an In Living Colour song at our next gig. Dude was an unbelievable guitar player. Those licks are insane to try and replicate. It's like trying to imitate the Be-bop jazz masters like Charlie Parker. Thank you for that. I will not correct my post so that I may forever live in my shame. This one is pretty nice as well. My mom threw away all my concert memorabilia. I had tshirts, guitar picks, and ticket stubs. My favorites were from Dio and Type O Negative. Got picks from Dio and Peter Steele. Shirts from Metallica, zztop lynyrd skynyrd, Metallica, Tool, Heart and quite a few others. Did anyone hit up this combo craft show/concert back in the day? Not really sure of the year (mid 90's??). I suspect that there are a ton of fakes out there. I used to have Phil Collins autograph. Not sure what happened to it. A friend of mine saw him in line at a Burger King in Baton Rouge in the late 70s after a Genesis concert. Phil signed a Burger King receipt for him. My friend gave it to me because I was a big Genesis fan back in the day. True story. You see tons of stuff online, especially eBay, and I feel like its impossible to truly know. Drumstick from Rob Zombie guitarist at 2001 concert with Ozzy at the New Orleans Arena as it was called then. Ozzy at the New Orleans Arena as it was called then. I was at that concert. That was actually my first real concert. I have a Jerry Garcia autograph when he signed into the swimming pool at the Buffalo Hyatt where we were staying. It was 7/3/86, the day before the gig. We missed him by about an hour. I asked the kid if I could have it and he refused. I went back to the room, got dressed, went back and stole it. I don’t feel bad. Too much other GD stuff to mention including a funny Branford Marsalis story. Also have a great picture with Jimmy Dale Gilmore. I have one, too. 1988? Hammond, SLU University Center. I also have a pick from Caleb Followill (KoL). 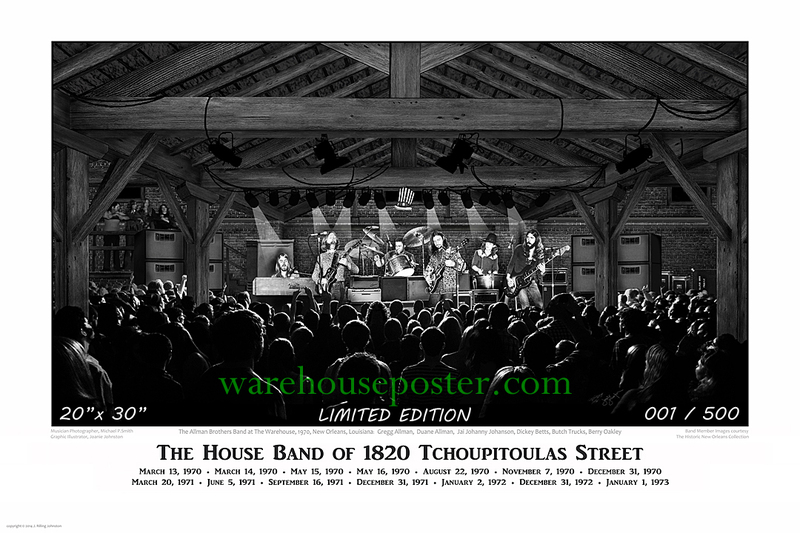 2007 House of Blues, Nola. An autographed Ringo Starr collector's card. Don’t know how to post a photo but I have a Dead Kennedy’s button like this one from a concert in 1979. Two used Jason Isbell picks. One of which he threw and it landed between my wife’s knockers. Autographed MMJ and Blind Melon posters. Lastly, a bandana signed by Willie. Awesome guitar. I saw Living Colour back in '89 or '90 in a small venue with about 200 people in attendance. Muzz Skillings crowd surfed and ended up having his white t-shirt torn off. I had a scrap of his shirt for years, don't know what happened to it.